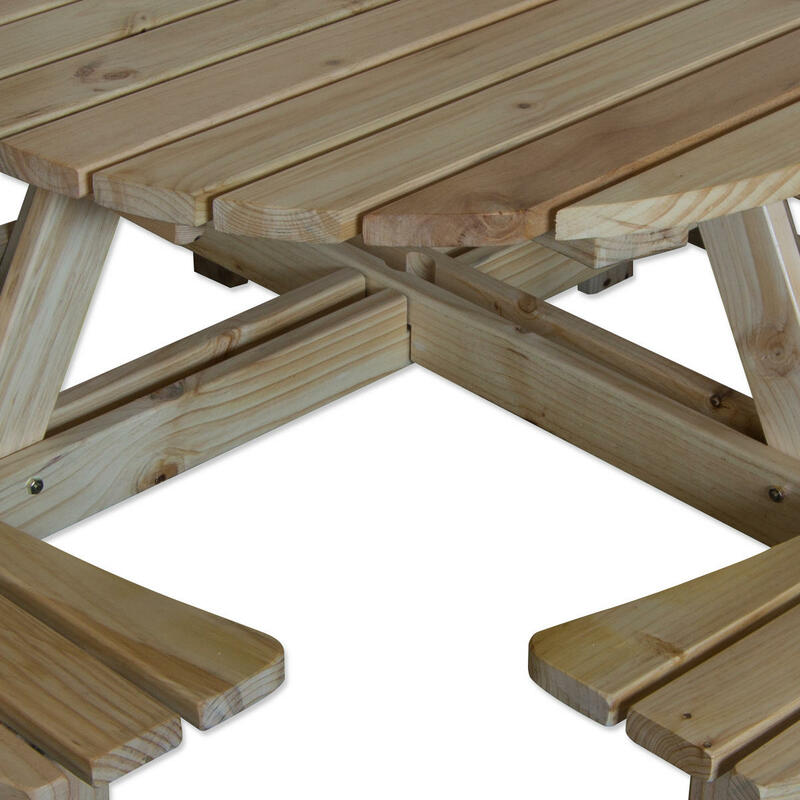 The MARIBELLE® Natural 8 Seater Garden Bench is the best garden and pub bench on the market. 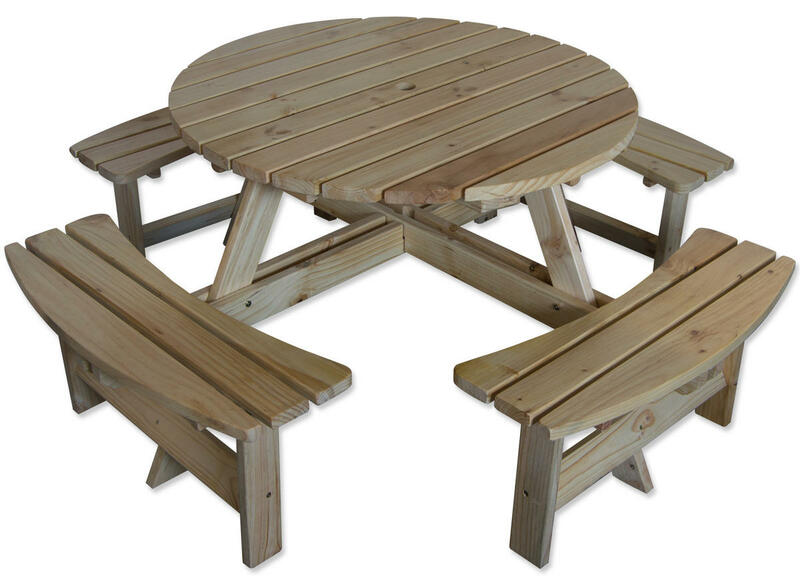 A high quality 8 seater table, it is ideal for patios, restaurants, cafes, pubs, hotels and bars. The treated pine ensures a long lasting finish designed to last for years. The parasol hole allows easy parasol usage, perfect for those hot summer days when shade is near impossible to find. All the edges have been hand finished to ensure there are no sharp edges and no possible splinters to be had when using the table. Assembly is simple and easy, with full instructions provided. The table top measures at 110cm, with the total diameter including seating at 175cm, plenty of room for all the family. Only the best pine wood is used, with a thickness of 3cm giving you perfect support and a feel of genuine quality. This is perfect for your table and bench needs, and MARIBELLE® have not held back in providing the best you can get at such an affordable price.